First, I want to commend you on your current challenge to be a better cook. I think it's AWESOME. And since I've known you for quite possibly an entire lifetime (way before we met the boys that would become our husbands, when we were traipsing away as leaders on Young Life camp trips and whatever else it was we did as single ladies without the confinements of motherhood), I'm so excited that you have commissioned me to be apart of your culinary adventures! In your post, you asked me to give you 5 of my most beloved and simplest recipes for you to learn to cook. I'd venture to say that 95% of the recipes I use regularly are easy peasy, because with the chaos of freelance work and 2 kids underfoot, I can't afford expensive or time-consuming kitchen work! As promised, I've gathered 5 of my favorite recipes. Two of them can be reworked into "leftover recipes," so I'm essentially giving you a 7 Day Meal Plan (shopping list included)! Many of these ingredients you may have already in your fridge or pantry, so the list probably isn't so daunting! I tried to section the ingredients into categories that will make it easier to take around the grocery store (produce, meat, spices/herbs, cans, etc). Also - these are all bigger/heavy meals. I normally only cook 3-4 meals per week and utilize the leftovers somehow (or account for 1 night of take out). You may find that some of the meals leave enough leftovers for two meals. If so, just reschedule the following day's meal for another day. I look forward to hearing how this goes! 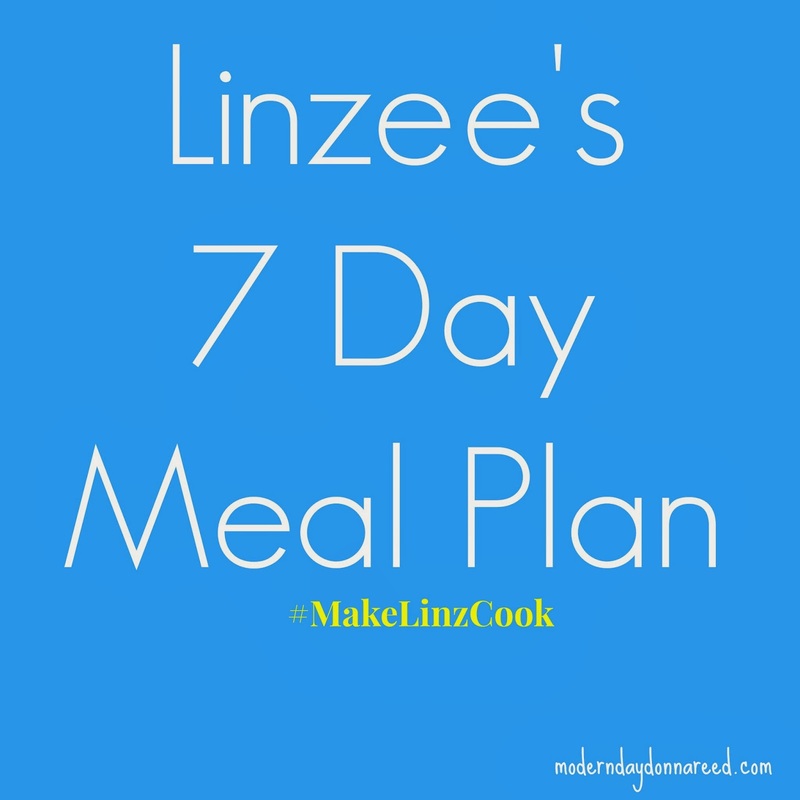 What loved/easy/frugal recipes would YOU share with Linzee? What advice would you give her to become better in the kitchen? Leave a comment, and I'll be sure to pass it on to Linz!